Every morning when you face the mirror, what does it say? Yeah! Apart from saying hello to you, it pronounces all of the trails of your aging story. Our eyes are usually the first part of our body where the signs of aging appear. Well! Aging cannot be stopped, but for all the good reasons it can be controlled and delayed for sure. An experienced facial plastic surgeon can provide a very helpful insight into the practical aspects of different cosmetic surgeries available for maintaining the youthfulness of your skin. So, when it comes to eye area rejuvenation people are often confused between a brow lift surgery and an eyelid surgery. If you are also going through the same dilemma, here are all the necessary details for you. Also known as blepharoplasty, this can be further divided into upper and lower eyelid surgery. It is a cosmetic surgery which can remove the bulging fat, excess skin folds, saggy skin, and bagginess around the eyes. There are various external as well as internal factors which lead to the formation of wrinkles, puffiness, and drooping effect to the eyelid. These factors include gravity, stress, loss of elasticity in nearby cells, smoking, and sun exposure. But, ageing remains the prime reason for wrinkles and skin folds near eyes. To be precise, the major difference between an eyelid surgery and a brow lift is that an eyelid surgery lifts the upper & lower eyelids by eliminating excess folds while brow lift is performed solely to raise the eyebrows. It is also known as forehead lift as it restores the natural shape of the eyebrows and helps to define your forehead. It eliminates the saggy forehead skin and may also give a slight lifting effect to the upper eyelids. Hence, if you are looking for a complete eye area rejuvenation including under eye bags, you must opt for a blepharoplasty procedure. However, if your main areas of concern are forehead and eyebrows a brow lift will be more appropriate to give you the right results. 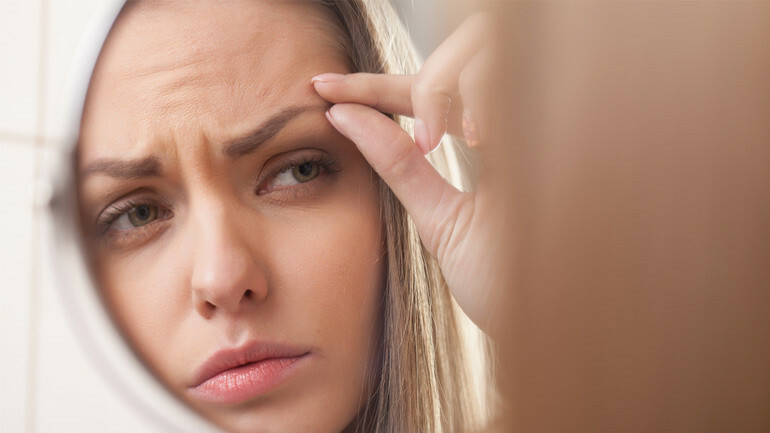 Sometimes, it may be difficult to determine on your own and that’s why it can not be emphasized enough on how important it is to choose the right facial plastic surgeon. The recommendation would come from consultation of an expert plastic surgeon for he has the knowledge and expertise to find out the best procedure for your specific needs. For details get in touch with the best plastic surgeon in Mumbai, Dr. Parag Telang at info@drparagtelang.com. You can trust him for his surgical expertise and personalized care that he extends to every patient without fail.